Come work in the exciting, evolving area of national security law. The Antonin Scalia Law School at George Mason University Write-On competition for the upcoming 2017-2018 academic year runs from 5:00 p.m. EST on Friday May 19, 2017 through 5:00 p.m. EST on Friday June 2, 2017. Engaging events that complement our written publication, such as our recent symposium on cybersecurity, featuring Mr. Kiran Raj, the former Deputy General Counsel for Cybersecurity at DHS, Mr. Scott Ferber, Counsel for Cyber Investigations at DOJ’s National Security Division, and Mr. Gerry Stegmaier, a Partner in the Information and Innovation Group at Reed Smith LLP. Write-On: Submit the completed Write-On Packet, including a signed Grade Release Form, and the optional resume and statement of interest (recommended for all 1Ls, 2Ls, and 3Es). 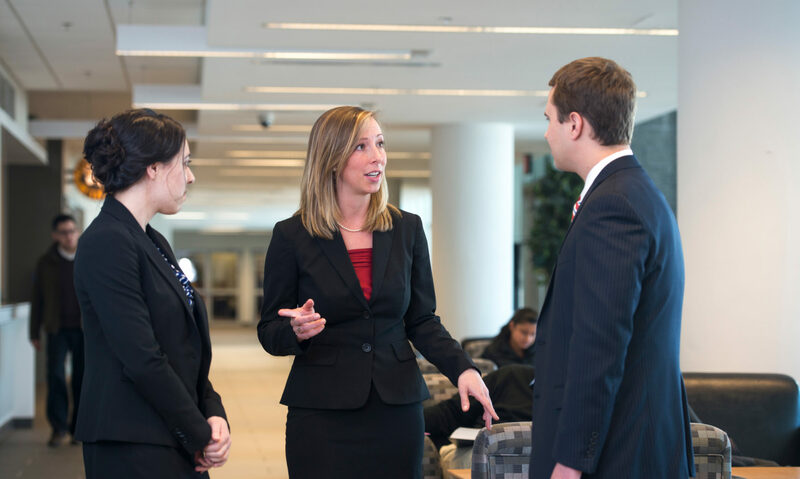 The National Security Law Journal (“NSLJ”) is participating in this year’s write-on competition for George Mason Law students seeking journal membership. All students applying for membership on NSLJ must have at least one full academic year remaining in law school, including all first-year students (1Ds & 1Es), all second-year students (2Ds & 2Es), and third-year evening students (3Es) graduating next May or beyond. To be eligible, students must have a minimum cumulative grade point average of 2.50 as determined by the GMUSL Records Office at the end of spring semester. Our Editorial Board will review each submission. There is neither a minimum nor a maximum number of positions available to students competing in the write-on competition, so we encourage all eligible students to participate. Your write-on packet will be graded blindly. A score will be calculated based on the quality of your response to the write-on topic and your answers to Bluebook exercises. Your write-on packet will make up 75% of your score (65% for your comment and 10% for your Bluebook exercises), and your GPA will make up the remaining 25%. Applicants with the highest scores will receive the strongest consideration for membership. Applicants may also submit an optional résumé and statement of interest. This portion of the application is optional, and you will not be penalized if you choose not to submit a response. However, this is an opportunity for you to tell us what interests you in the National Security Law Journal. Your response can help distinguish you as a potential Candidate Member and will be taken into consideration when extending offers. The statement of interest, if submitted, should be 250 words or less. For your résumé and statement of interest, please do not include your name on either document. This policy is to ensure the blind grading system is not compromised. Please note that whatever materials you choose to include should be submitted in electronic format, just like the rest of your packet. The NSLJ Editorial Board will review each submission, and we take the blind grading process seriously. Our Managing Editor is responsible for maintaining the integrity of the blind grading process and distributing application packets to the review teams anonymously. He or she does not participate as a reviewer. Separate teams will review the comments, Bluebook exercises, and optional materials for each applicant. Each comment will be evaluated by members of our Editorial Board, and the Bluebook exercises and any optional materials will be reviewed independently of the comment. This means that, if you choose to submit the optional materials, your submission will be independently reviewed by at least four members of our Editorial Board. An applicant’s identity will only be revealed after we have calculated a final weighted score for the entire application packet. Again, there is neither a minimum nor a maximum number of positions available to students competing in the write-on competition, so we encourage all eligible students to participate. Students selected for candidate membership will be contacted in early July. The write-on competition ends at 5:00 p.m. Eastern Time on Friday June, 2nd 2017. Be sure to review the instructions contained in the Write-On Packet very carefully – specifically, please note that NSLJ has moved to an electronic submission process. Unfortunately, students who do not comply with the submission instructions, or fail to submit their application on time will not be considered for candidate membership. The write-on process itself is managed by the George Mason Law Review; please visit their website for additional instructions and to access the write-on packet. Stay in contact and be sure you get the latest information from NSLJ by signing up for our e-mail newsletter. You can also like us on Facebook, view our YouTube channel, and follow us on Twitter. If you have any questions, please contact our Managing Editor, Jeremy Glenn, at info@nslj.org. Good luck!